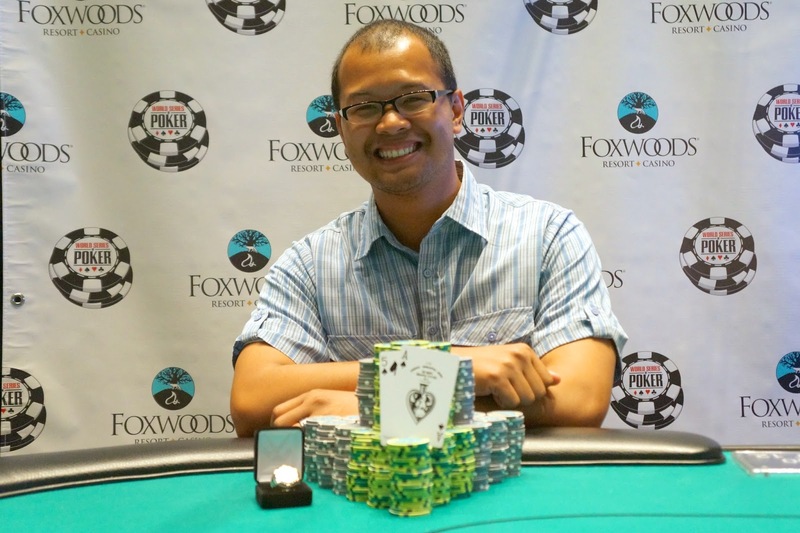 Congratulations to John Ting, winner of the first Ring event of the 2013-2014 season. John outlasted 641 players to win the $365 No-Limit Hold ‘em event and earn the first place prize of $39,514. 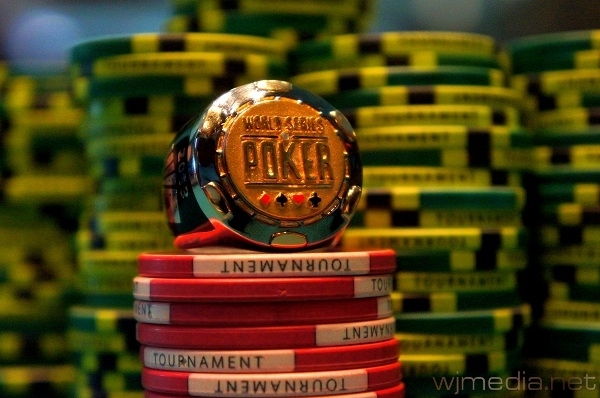 Event #3 at the Foxwoods WSOP Circuit, the $365 Omaha Eight-or-Better event, drew 137 players. The total prize pool for the event is $41,196. $365 Omaha Eight-or-Better Event is Now Underway! The third Ring event at the Foxwoods WSOP Circuit, the $365 Omaha Eight-or-Better event, is now underway. There is a $30,000 guaranteed prize pool for this event. We have reached the final table of ten in the $365 No-Limit Hold 'em event. Event #2 at the Foxwoods WSOP Circuit, the $1,125 No-Limit Hold 'em event, drew 116 players. The total prize pool for the event is $116,458. Day 2 of the $365 No-Limit Event Now Streaming Live! You can watch the live feed now at FoxwoodsLive.com. The players in the $365 No-Limit Hold ‘em event have taken their seats on Day 2 and cards are in the air. Of the 641 that started the event, only 28 advanced to play today. Michael Bimbo leads the field with 588,000 followed by Eric Engel and Pete Campo. While all players are now guaranteed at least $1,040, everyone is shooting for the first place prize of $39,514. The Foxwoods Live Stream will be running until we have a winner today. You can watch live now at FoxwoodsLive.com. The second day of the Foxwoods Circuit is a busy one. The first Ring of the series will be awarded today as the the final 28 players in the $365 No-Limit Hold 'em event return at 1pm. Be sure to stay tuned to FoxwoodsLive.com for the live stream of all the Day 2 action. Additionally, there are two new Ring event starting. The $1,125 No-Limit Hold 'em event with a $100,000 guaranteed prize pool just got underway at 11am. The is followed at 5pm by the start of the $365 Omaha Eight-or-Better with a $30,000 guarantee. Play has come to an end on Day 1 of the $365 No-Limit Hold 'em event at the Foxwoods WSOP Circuit. There are 28 players remaining and play will resume at 1pm tomorrow. Final chip counts and Day 2 seat assignments will be posted here as soon as they are available.